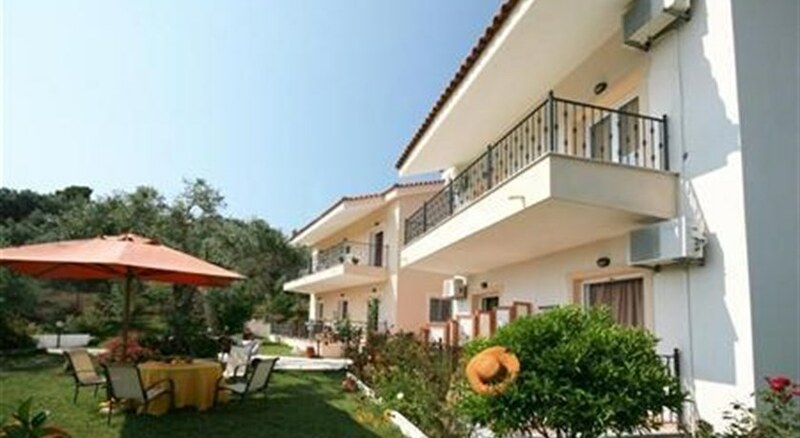 Location This small complex is quiet located in a colourfull garden, 800 meters from the beach of Troulos. (car hire is recommended). Facilities Parking, garden, reception. Rooms the complex is offering 6 studios & 4 rooms with balcony or terrace, bathroom with shower, mini fridge and air-conditioning. The studio's additionally offer a kitchenette. Meals The complex can be booked only on room basis. Payments No credit cards accepted.